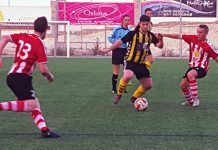 CD Montesinos have been given a huge boost going into 2019 with the Los Montesinos, Alicante, based Valencia 1st Regional Group 8 football club set to benefit from a 3.25m euros investment in the town. 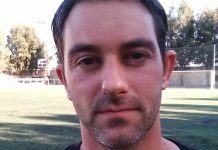 “We will start commencing work on February 4 to change all the turf of the football field,” Los Montesinos Mayor José Manuel Butron exclusively told me. 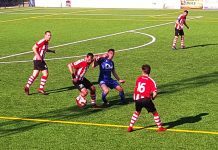 CD Montesinos, promoted to the 1st Regional Group 8 in 2017, play their home fixtures at The Municipal stadium in the Vega Baja township. 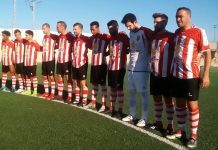 The club, one of a plethora of teams to use the facilities, are to benefit to the tune of 100,000 euros, in laying a new pitch, and facilities to sell club merchandise on match days. “We will also be putting a small booth in place at the stadium to sell merchandise,” said José. 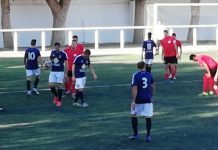 CD Montesinos, who have a successful supporters club in the ‘Full Monte’, are followed by hundreds of football fans, both of expatriates and Spanish enthusiasts. 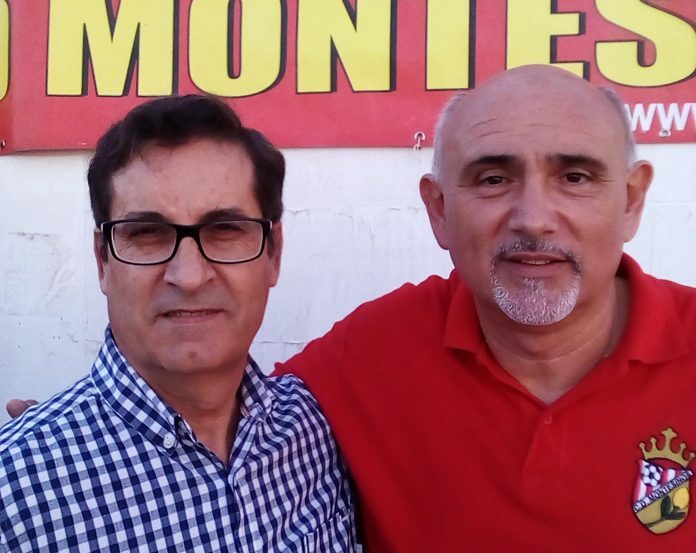 Mayor José, at the forefront of the construction of a new stand and dressing room facilities at the ground, has been praised by CD Montesinos supporters club president Eddie Cagagio. 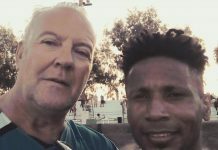 “This demonstrates once again the superb job the Town Council, lead by the Mayor José Manuel Butron, are doing,” Eddie told me. A number of improvement works will begin in Los Montesinos, funded by different public administrations, in 2019, to be added to a number of another series of investments, pending approval. 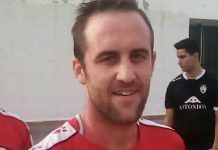 The campo futbal receipt sum is 100,000 euros, part of the 3.25m euros investment plan. “We are pleased that the council are investing money in the club and sports facilities,” said Eddie. 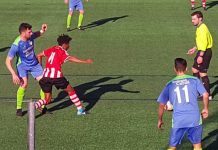 “The pitch is now old – 14 or 15 years old – that gets used so much. It’s a good investment for the town,” said Eddie. 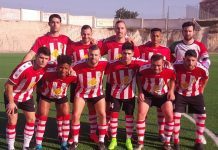 “It’s good news that the council are investing money raised by the people of the town of Los Montesinos – rather than going ‘cap in hand’ to the Valencian Government”, said Eddie. “As part of the works being undertaken the supporters club is also getting a permanent covered area to sell the club’s merchandise,” said Eddie. The photo shows Los Montesinos Mayor José Manuel Butron and CD Montesinos supporters club President Eddie Cagagio.